ca Once the weather starts to cool down, it’s nice to spend some relaxing time in front of the fireplace. If you have a deck or patio and the temperatures don’t get below freezing, then it’s fun to spend some time outdoors in front of a chiminea or fire pit as well. Do you know what would make those warm fires even more enjoyable? Having a really unique fire fragrance fill the air around you! 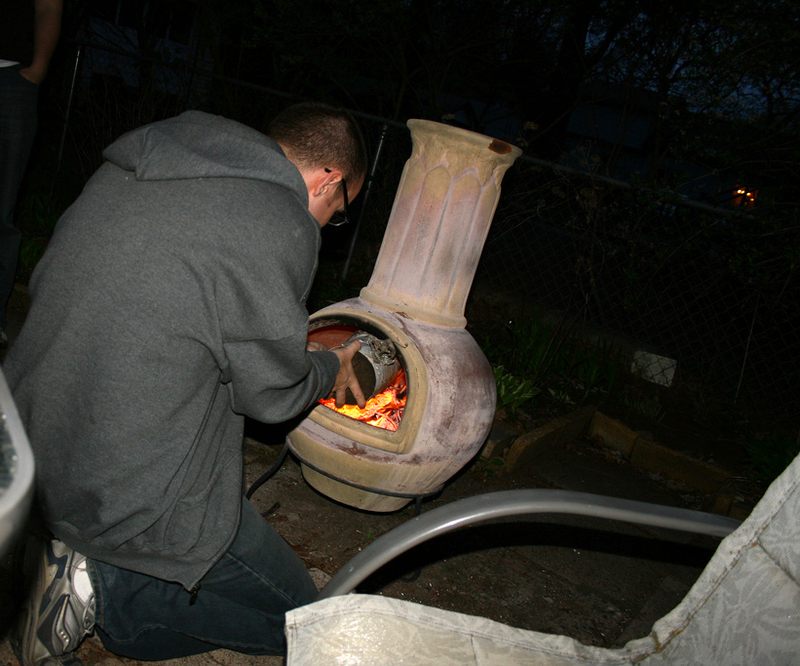 There are all sorts of things you can burn in your chiminea or fireplace that will give off wonderful aromas. And the best part: many of them are items you can find right in your home or in your backyard! #1 First, dry some apple and orange slices in the oven. Then burn them in your chiminea or fireplace. This can make for a very sweet smelling scent that fills the air. Oh, and they also make a great fire starter! #2 For a wonderful pine smell, burn pine cones in your fireplace or chiminea. Just be sure to use mature ones and not young ones. Young pinecones still have sap in them, which makes them more difficult to burn and could also cause popping in the fire. If the hot sap landed on someone, it would definitely burn them. #3 If you want a sweet scent coming from your fireplace or chiminea, then burn a cinnamon stick or two. I love the smell of cinnamon. Fortunately, cinnamon comes from the bark of a tree, so it burns very nicely and has a wonderful scent. #4 For a pleasant fragrance and to banish bad odors, burn orange or lemon peels in your chiminea or fireplace. The oils in the peels give off a citrus scent which is very clean, not sweet. 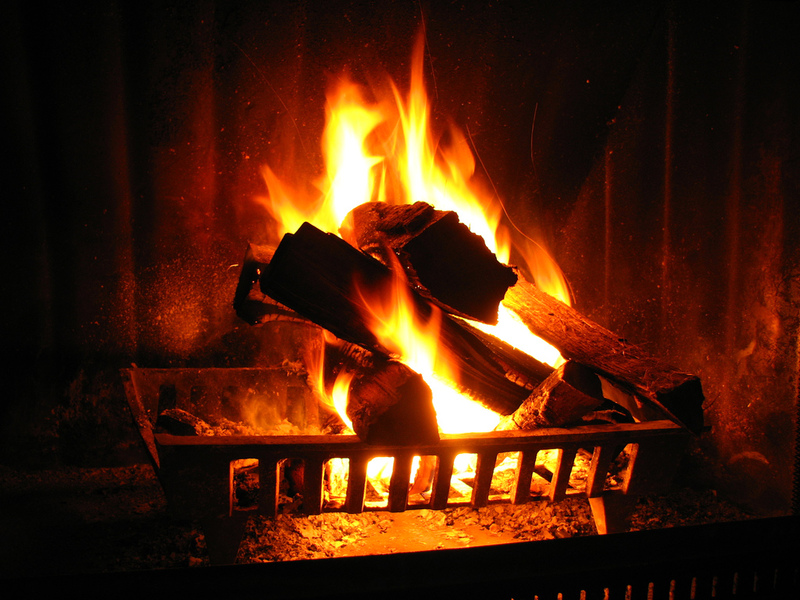 #5 Burn dried cedar branches in your fireplace or chiminea for a wonderful sweet woodsy smell. Just remember to only burn dried ones. If you burn them before they aren’t dried, they don’t burn well and give off too much smoke from all the oil in the leaves. Burning cedar branches also has the added benefit of being an insect repellent! #6 If you love the smell of apples, then you will love the smell of burning apple wood (if you can find it). Apple wood gives off a wonderful smoky apple scent that will remind you of the holidays and wintertime fun. And if you want an apple cinnamon scent, then just drop a stick of cinnamon on top and the 2 scents will blend! #7 Burn a braid of sweet grass in your chiminea or fireplace. Sweet grass is an herb that is used to clear negative energy by Native Americans. It also happens to have a wonderful sweet scent that lingers in the air without being too smoky. #8 Burn dried sage in your fireplace or chiminea for a more acerbic scent. Sage scent isn’t for everyone, but I personally love it. Once it has burned, it clears any other odors from the air, and then a lighter scent tends to linger. Dried sage wands have been used by Native Americans for clearing out negative energy for thousands of years. Sage burns very hot, and has a tendency to smoke, so it doesn’t take much to get the right effect. I wouldn’t suggest putting a whole wand in your chiminea or fireplace. Instead, just untie the thread holding your wand together and take out a few sticks with leaves and throw them into the fire. (See video below.) Also, I don’t suggest burning supermarket sage, because it is a bit different than the sage in sage wands which are cut from actual sage bushes and then bundled. #9 Think of the most aromatic herbs that you use for cooking. For example, toss some rosemary in the fieplace on the outer edges of the burning wood and your space will come alive with a delightful, pine-scented aroma. Fireplace herbs can even be bundled ahead of time. #10 For just about any other scent you could want, you could purchase pure fragrance oils such as banana nut bread, cinnamon, or even lavender. 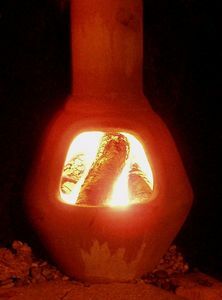 Just put a few drops on your branches or logs, then allow it to dry and burn in your chiminea or fireplace. The air will smell like the wood, as well as the scent you put on the wood! Yes, You Can Cook In A Chiminea!